In celebration of National Poetry Month, 19 middle school students and five faculty members shared a mix of poetry, music, and spoken word at this week’s Favorite Poetry Assembly. Each piece was meaningful to the presenter and held significance in their lives. Many of the poems were original pieces, offering the Middle School community a small look into the hearts and minds of their peers and colleagues. 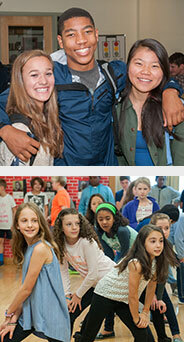 Along with the Favorite Poetry Assembly, the Middle School also observed Poem in Your Pocket Day this month. 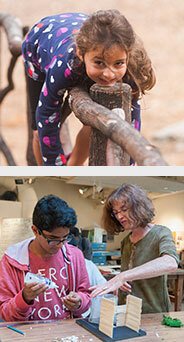 For one morning last week, Upper School student and faculty attention shifted from classroom learning to a different kind of learning, environmental education. Featuring numerous information booths, demonstrations, hands-on activities, and guests, the annual Eco Bash devoted a morning to raising awareness for sustainability, climate change, and green initiatives. Spearheaded and organized by student Eco Representatives and the Faculty/Staff Sustainability Group, the morning kicked off with a presentation by former BB&N parent Bob Massie, a national activist and author who is considered an expert in the field of climate change activism. 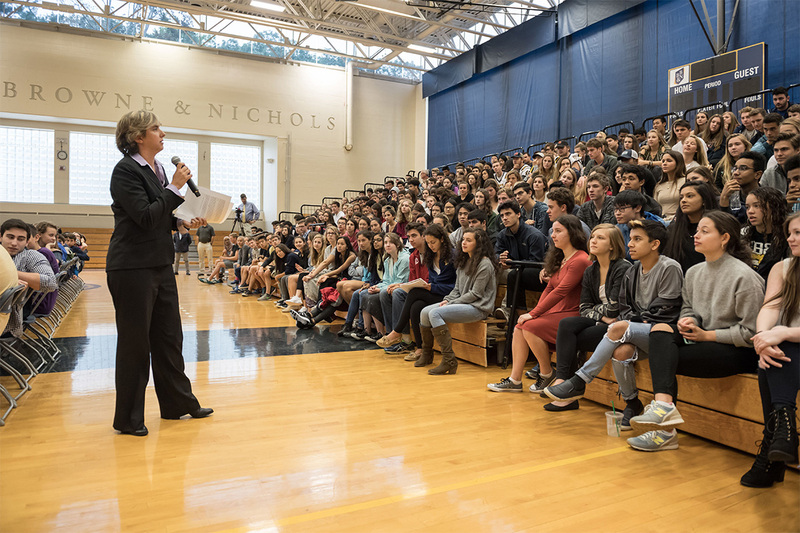 In his address to the Upper School, Massie noted the challenges facing this generation in countering the environmental issues facing the planet. Showcasing ocean level projections and other scientific data, Massie passionately called students to action in working toward sustainability goals and recognizing that globally, Earth has reached an environmental crisis point. - Are You a Smarter Recycler than a 5th Grader? Whether learning about fossil fuel alternatives during a bike ride, how to cook with leftovers to reduce waste, discussing environmental psychology, learning about sustainable water gardens, or gaining insight into local wildlife through a live reptile display, all attendees gained insight into the environmental issues via fun and informative activities. 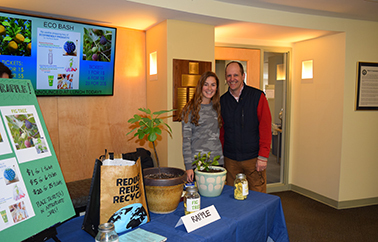 And for the first time ever, Lower Schoolers joined the fun this year as members of the Lower School Environmental Club hosted their own information booths, and fourth graders were invited to attend workshops held by their Upper School counterparts. All involved had high hopes that the spirit of the day will be carried forward for weeks, months, and years to come. Click here for a photo galley from the morning. On Saturday, April 6, nine BB&N Middle School students travelled to Austin Prep School in Reading to participate in the Regional Finals of the National History Bee. Eleven students who took the online qualifying test placed into the Regional Finals, an event which drew dozens of finalists from the six New England States. The contestants were eighth graders Rohan Badani, Jack Botein, Louis Levy, Sanisha Mahendra-Rajah, Asher Parker-Sartori, Quin Polcari, and Anji Reddy. 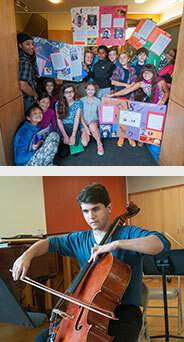 In addition, Bradford Kimball and Antonella Catanzano qualified from the seventh grade. After three grueling morning rounds, pitting up to twelve contestants against each other in each of many classrooms, Jack, Asher, Quinn, Anji, Bradford, and Antonella were all informed that they had qualified for the National Finals in Chicago! In a stunning development, both Bradford and Antonella finished in the top eight of the Seventh Grade Regionals and competed in the finals, and Bradford surfaced as number one in New England! Group Advisor and Middle School History Department chair, Bill Rogers, observed several rounds and noted that this was the second-largest group from BB&N ever to qualify for the Regionals, and the largest group ever to be invited to the Nationals. 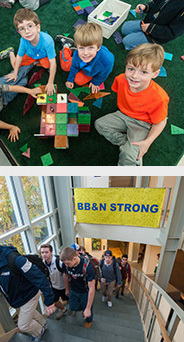 The Finals are scheduled for early June, and summer schedules willing, some of BB&N's young history scholars will be there to compete for the title. Standing in front of the Poetry Cafe lights, BB&N fifth graders recited their carefully constructed poems at this week’s Poetry Cafe Open Mic. Each poem told a story about something meaningful in the students’ lives, from their fun family vacations to the specific sensations experienced in an emergency room visit. 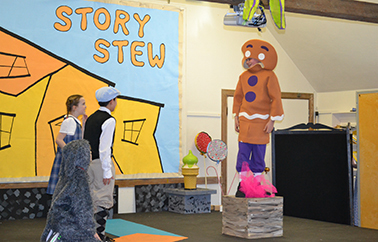 With careful planning and production, fifth grade homeroom teachers Gabby Mbeki and Frances Early created a special setting for the students to show off their hard work, even incorporating the “poetry snap” as applause. 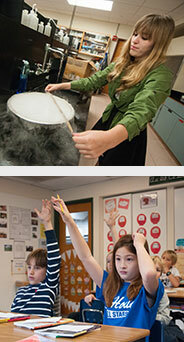 See how our motto of integrity, scholarship, and kindness comes alive on the Lower School campus. 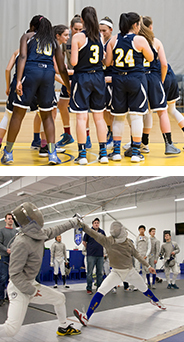 The Middle School offers a supportive environment for students to cultivate their strengths, curiosity, and sense of identity. 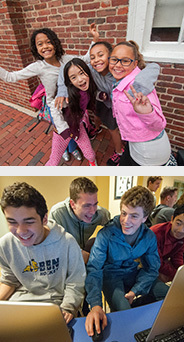 Upper School students build confidence and purpose in an invigorating community where it’s cool to be smart. See how we develop critical building-block skills while instilling confidence and a love of learning in our young students. See how we create a supportive environment for young adolescents to challenge themselves both personally and academically. 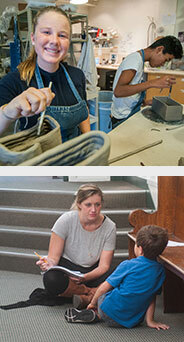 See how we encourage a community of diverse backgrounds, talents, and interests that creates a catalyst for growth.